Welcome to the fresh unblemished start of a brand new week! Yay! I hope you enjoyed your St. Paddy's celebration, whether you're Irish or not! We enjoyed having the boys. They have been too big to make cards with Bama for a while now, sob, but they joined me on Saturday to make get well cards for their mom and it was so much fun! I hope the memories of all the times they have spent in the Playhouse making cards (along with their mom and dad's excellent parenting) will make them empathetic and caring adult men. It's been a while since I made a shaker card and soon into it I remembered why. I have such problems with building them! I did buy one of those fuse tools a coupla years ago which makes making them a lot easier, but I already had a lot of schtuff on my desk and the fuse tool was across the room in one of those drawers and even if I did get off my assets to go get it, I would then have to find the extension cord because I don't have an available outlet under my feet, and ... oh, heck, just forget it, I'll just whip one up without all that. Egads, it took three tries! If I were smart, I would make 30 or 40 shaker cards at a time because I don't get the hang of it until around card 24! It didn't help that Hammy kept sneaking over to steal jelly beans while I was concentrating. He doesn't try to eat them, he just likes to arrange them on his bed as pillows. The jelly beans were made with a stamp from Stamps by Judith. They were stamped onto a piece of paper I watercolored and then they were fussy-cut and glossified. 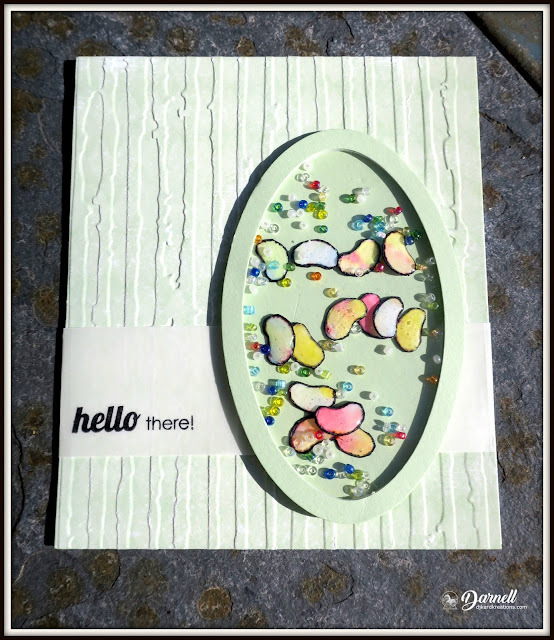 I didn't have a Happy Easter sediment that fit in the space on the panel of vellum, so I used the Hello stamp. 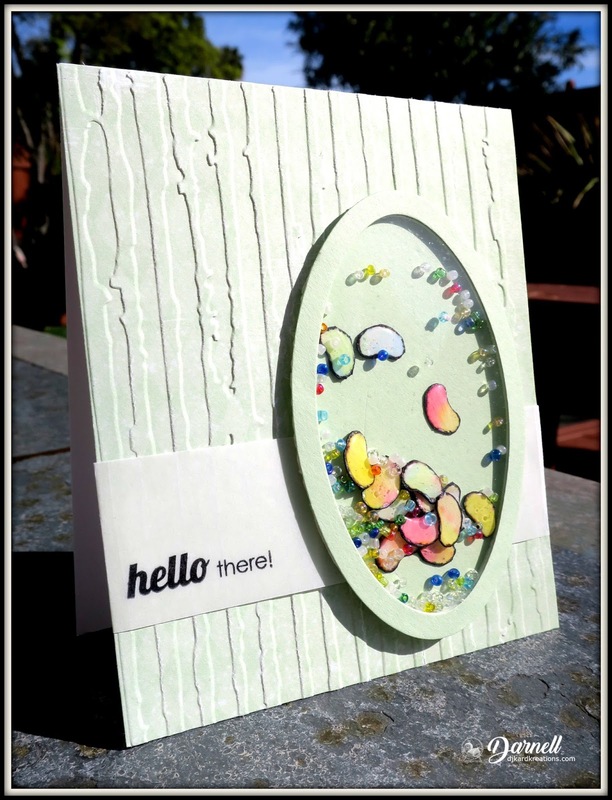 CAS Mix Up Card Challenge: Use acetate, plus stamping, dry embossing, and vellum. Happy 2nd Birthday!! Loll's watercolor challenge for March is "garden," so what better stamp to use than "Corner Garden" by SU? I find this image so relaxing and fun to paint with my Ziggies. It could use a coupla more layers of paint, but I'm not that patient. Using this stamp also gave me the perfect opportunity to use my NBUS and adorable hummingbird stamp from Pretty Pink Posh. I really didn't "need" another hummer stamp, but I just couldn't resist him! I copied Gemma's color scheme for the little guy. His tail (which I curved for dementia) is in the shadow from being popped up on foam tape, but in the light it glimmers and schparkles in pretty winked purples and blues. The sediment is from Concord & 9th's "You're My Person" stamp set. CAS Watercolor Card Challenge: Garden. 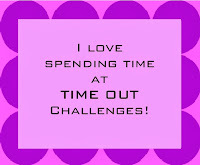 TIME OUT Challenge: Happy 4th Birthday celebration! You must have more humming bird stamps than I have dragonflies! Both cards are gorgeous. Hi Darnell, Fab cards. I love all the scrummy colours in the second one. Two fabulous cards Darnell, I love the Jelly Beans on the first card and the wonderful little Hummingbird on the second. Reading about you making the shaker reminds me why I don't make them often...yeah have the fuse and no room and always fiting to get them the way I want them; so super you made this one!! Love your jelly bean shaker card!! 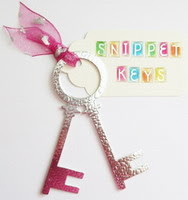 Love that embossed background also! Your hummingbird card is gorgeous!! Oh you had eaten all yours..that's why you had to make them(only joking)!! Love both your cards, Darnell! The Easter card has the most adorable shaker elements, and your coloring of the watercolor card is just beautiful. Believe it or not, I do not have a hummingbird stamp even though I love them! I like the one you used a lot. Another item on my never-ending wish list! I don't make shaker cards either. I think I made one and it didn't shake very well. I was not happy. Maybe I will try again. I do like the jelly beans for the inside. The garden flowers are so pretty and the hummingbird is so sweet. The twins couldn't help but be warm caring men after being raised in your family. 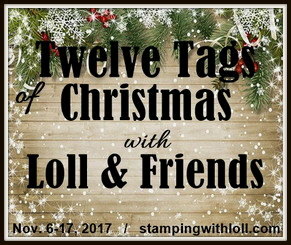 I really must remember not to have liquids in my mouth when I hop over to your blog - today's title left me with a spray of coffee to clean up! :D I do love that PPP hummingbird but for now he's hanging out in my wish list basket at Ellen Hutson. He'll make it to Bermuda eventually I'm sure. As for your shaker card - girl, I'm right there with you! I have merrily purchased sequins and glitter and tiny beads to fill up all the shaker cards I'm going to crank out. Then I make one and I just end up cranky. Such a pain in the bootie! Woohoo! I don't care how many tries you took to make that shaker...it is so worth it. Love the idea of the jelly beans (something I'd never have thought of). So stinkin' clever. And your garden card is gorgeous. Your coloring is really fabulous. Absolutely love your cards, Darnell! Such nice, Spring colors. You did a wonderful job with the shaker card. Hope you're having a good day! So many times you speak for every stamper, Darnell. Yup, that would be me leaving the tool in the drawer across the room. Nevertheless, you made a fabulous and fun jelly bean shaker. Jelly beans are a weakness of mine and I can't get too near a bag of them or it would do a magical disappearing trick. Now, I'm swooning over your watercolored flowers and pretty hummer. How perfect they are together! I was pretty tempted by that hummer set, but this shopping spree has to stop (for a while). Your flowers look perfect to me, especially sitting there in that beautiful sunshine! I am not very good at visiting lately but I saw the word hummer and had to pop in! I LOVE your absolutely beautiful hummingbird card, Darnell! What gorgeous stamps and beautiful colouring! Your jelly bean shaker is adorable too! Love the textured background! I've been thinking of making a shaker myself; it's been awhile. Enjoy your day! Oh Darnell, your shaker with the jelly beans is so fun and different! :D Love it! And such fab embossing on the back! 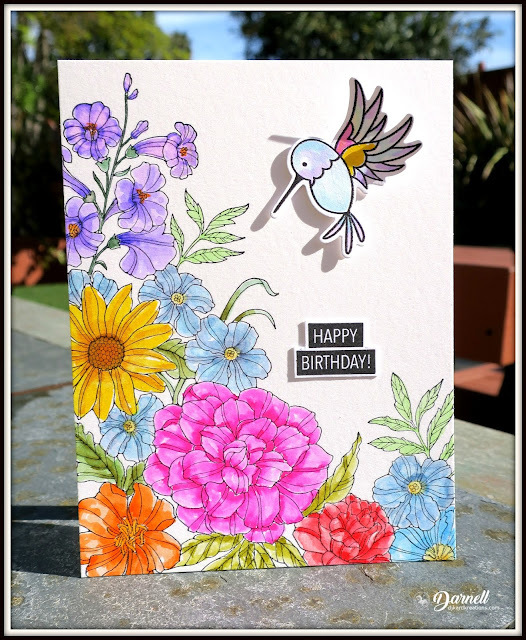 Your hummingbird and flowers card looks amazing, wow! A fab explosion of colours and spring!!! Wonderful colouring! I to do not like making shaker cards - but even if it took a long time ours was worth it. Lovely card, do like th embossing folder. Great colourful card underneath, just the ticket on a miserable day in the UK - certainly brightened my day up. Those jelly beans look like the gourmet type! I would sneak a few while you wrestled with the shaker elements too! I love your corner garden flowers - so beautiful! That little hummer is hard to resist! I'm glad you could make some cards with the boys, or maybe it's time to say, "the guys". Fantastic cards Dolly!! Love that sweet (pun intended!) jelly bean card. Great job with all the fussy-cutting. So cute as a shaker with those little multi-coloured beads. I'm with you on constructing the shaker ... it's a nightmare and so very rare that I have one to post. :) Thanks for sharing with us at CAS Mix Up! OH I am so happy to read your story on shaker cards- I'd rather go to the dentist than make a shaker card (well ok not really). You cut all those jelly beans by hand. I'm surprised Hammy stayed awake that long!!! (Love your Hammy stories). What a nice compliment to the boys parents. Always love your twofers. Love the colorful jelly beans all covered over with gloss! Very nice- great card! I am a sucker for any hummingbird- LOVE the beautiful card with the wonderfully colored flowers!!! Screams Spring!!! Oh, that really did make me smile, I do that so often when I can't really be bothered to get something out of the cupboard! I have to say, when you get your shakers right, you do it so wonderfully well, they are real treasures... I just love your jelly beans, they look fabulous! As for the hummer, he was worth it, he is a real beauty and oh, those gorgeous flowers... wow! those cards are so wonerful! I LOVE your shaker jelly beans and the beads too! Shakers are time consuming even with the fuse tool! Lots of fun in that card! And your flower garden is GORGEOUS! No more coloring is necessary! Beautiful bright colors! The adorable hummingbird looks like he's enjoying the garden! Thanks so much for sharing with us at CAS Mix Up and CAS Watercolour! Two great cards, but the hummingbird card is GORGEOUS! I can still get my grandkids to make Christmas cards for their parents, so once a year, yay! Your shaker card looks perfect - are you sure you're not a professional shaker card maker in disguise? Your floral card is stunning! I love those bright colors and the sweet little hummer. 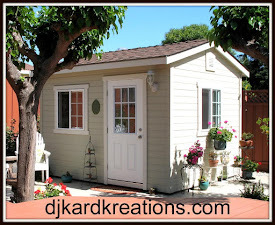 It's always fun to visit your blog, Darnell...I love reading about your beautiful grandsons and of course how Hammy stole the jelly beans to use as bed pillows ~ LOL!!! With all of your trials creating your shaker card, I think it turned out amazing, and I love how you added texture to your card base! Your blooms are absolutely gorgeous on your 2nd card! Flawless coloring with your Zigs and your color palette is perfect for spring...of course, my favorite is your sparkly Hummingbird ~ a real WOW, and I think he finishes off your card perfectly! Thank you so much for inspiring me with your creations, and for playing along with us at Addicted to CAS! It's always a treat to see your beautiful cards in our gallery! Two super sweet cards, Darnell! I love both of those fantastic cards you made. The jelly beans in the shaker remind me of the Jelly Belly ones I always used to buy. They are so addictive! And, that garden design is so delightful and I love how the hummer is hanging around all the beautiful blossoms. Thanks for sharing and by the way, thanks for the lovely card you sent me too. That was a lovely surprise! wonderful cards Darnell, love especially the blooms and the hummer. I have that stamp too, but its yet to see any ink! I'lll have to fix that soon. are those jelly beans the Beanboozel version or the real thing :) love the glossy accents and the wonderful colours. You Humming bird card is so sweet, awesome colouring. I love both cards. I so get your building shaker issues...me too!!! I loved your jelly bean shaker, though...glad you persisted. Gorgeous blooms, Darnell! The coloring is absolutely stunning! Your little hummer must be in heaven finding such a wonderful bouquet. Love your shaker too! I always love seeing them but I seem to take forever getting one done. Hope things are progressing well with your DIL--stressful, I know. The first card is just so fun with the jelly beans in your shaker, Darnell! I just ordered the Brutus Munroe shaker pouches to make it easier from now on. The second card is absolutely gorgeous--love those flowers! That jellybean card is so stinkin' cute and I love your hummer with all those beautifully colored flowers too! I could never make a decent shaker card either until I began making them with tulle instead of acetate - which is MUCH easier to do! Two great cards, Darnell! I love the jelly bean shaker - what a great idea, and I'm glad you persevered with the pain of making a shaker!! I know just what you mean about the gizmo and the extension cord being too much trouble to get out so you struggle on with what you have out! And clever Hammy pinching those colourful jelly beans to use as cushions - great sense of interior decorating! 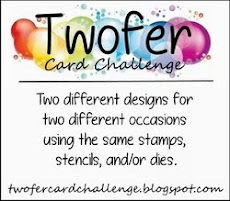 Thanks for making a card the challenge I'm hosting at CAS Mix Up! And your second card is so lovely in all those vibrant colours - it's been too drab and grey here that they are a feast for my eyes. Thanks so much for joining in at CAS Watercolour. Oh my goodness!! that shaker with the jellies is so CUTE!!! I LOVE the fun way you made the little beans!! The second card is really elegant. The colors of the flower are so festive. So want spring as we are expecting yet another snowstorm tomorrow!! Two great cards, Darnell! Shakers are always interesting and fun, especially in your beautiful colors! Then the second card is so gorgeously colored! Bravo! It's so nice that you and your grandsons made cards together again, Darnell. I know that meant a lot to you. I know what you mean about shaker cards. They are not easy for me either. But you did a bang up job, so all the efforts were well worth it. I love the second card. I have wished for that same hummingbird stamp, but have resisted the urge to buy it. Combined with the flower stamp, it it truly beautiful. I've had a few fails in the shaker department too, Darnell, and I haven't made one in awhile. I bought extra thick fun foam to help out and now I have the Scor-tape that should make things stick better. I love it with jelly beans in it. I'm amazed at your beautiful garden and it definitely doesn't need any more Zig layers. It's perfect as it. Your shakercard looks wonderful/ I like the idea of jelly beans for the shaker item along with your sparkly things. I always forgetting powder the edges of my foam tape and then all the sparkly bits cling to the edges! The floral hummingbird card is beautiful. Such a sweet hummingbird! Your hummingbird looks so excited to see all these pretty flowers! Gorgeous card! Two fabulous cards Darnell - I adore your jelly beans snippets shaker card (try saying that after a Grey Goose and lemon with pips!). Like you I hide a bit from shaker cards - but the results can be so worth it for sure! LOVE the hummer card - fabulouc colouring there too! Another fabulous twofer from The House of Knauss (That has a certain ring to it lol!!!) but the Hummer card is amazing. A fusing tool sounds like some form of ancient torture........I'd just use foam tape lol!!! It never fails. 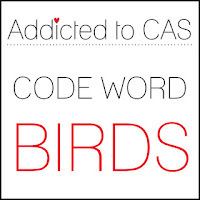 I comment and then I have to come back and thank you for sharing your bird card with us at Addicted to CAS. I should have just done that in the first place. Will I ever learn. Fabulous cards, your shaker card is fabulous and your hummer card with the bright gorgeous coloring is amazing! First, let me get this out of the way...EEEK!!! That floral card with the hummer is gorgeous!!! Those colors are so clean and bright against the white background, and so beautifully shaded. Now, onto the shaker card. Oh, I feel your pain because shaker cards are my crafty nemesis. I have only made two shaker cards in my life and they both nearly brought me to tears, ha! Whether beads, or sequins, or confetti..nothing seems to end up where it's supposed to be. My last shaker was made with a special shaker die and window, and it still came out wonky! Yours, however, is sweet and delightful (as jelly beans always are). Congrats on another win, Darnell--& a great prize! Congratulations on taking top honors at Time Out. It was our biggest challenge ever! Your card is absolutely stunning and so deserving of the win. Thanks so much for playing along. Congrats on Time Out Top Pick!!! It's gorgeous!